How to Clear Cache on iPhone Easily – iMobie Inc. In order to clear cache on iPhone, this guide will introduce you an easy method to achieve your goal. Free download and install the PhoneClean to clear iPhone cache. Know the details by reading this article. You may like to use your iPhone5/5s/6(Plus)/4s/4 to communicate with your friends and family member in time, watch movies to spend your spare time, look at your city map when you are lost and surf the Internet to gain information with safari. There is no doubt that your iPhone is sluggish to operate if it is shortage of enough free space. So the question is how to clear cache on iPhone to speed it up. You must be aware that no matter what kind size version of iPhone you pick, as the time flies, your iPhone's free space must be occupied with caches such as app caches, photo caches, webmail caches and even safari caches. 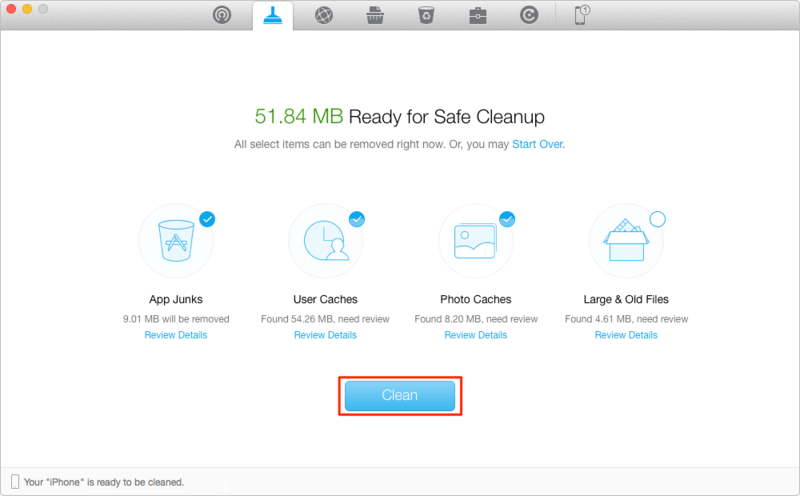 Therefore a good way to free up your iPhone space is to clear cache.You may ask how do I clear cache on iPhone in an easy way, here is a good option for you – iMobie PhoneClean, which helps you make it in few clicks. PhoneClean is purifier to help you clear your iPhone to release storage space, and also an all-round and risk-free iOS cleaning and optimization instrument. 1. Supports clearing junk files like app caches, photo caches and private data such as webmail caches and safari caches. 2. Supports just doing one click to improve the performance of your iPhone and scan deeper to locate and clear the trash like caches. 3. Supports backing up contents of your iPhone before doing any scanning and cleaning. PhoneClean is a professional cleaner for iPhone. Please free download firstly and install it on your PC/Mac to clear cache on iPhone. Step 1. Launch PhoneClean > Connect your iPhone to computer > Click on Quick Clean to clear App Caches and Photo Caches. 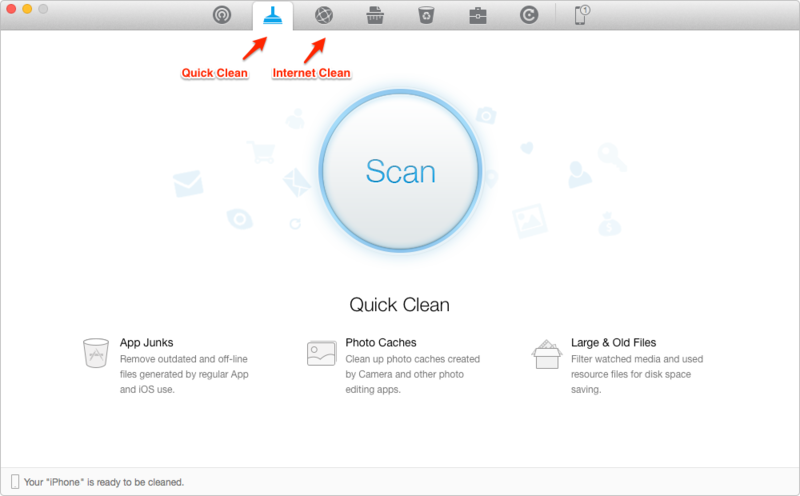 For Webmail Caches and Safari Caches, please tap on Internet Clean. Step 2. Select the caches you want to clean > Click on Clean button. The process is same for clearing Webmail Caches and Safari Caches to Internet Clean. PhoneClean is designed to make your iPhone operate like new one and let you life have much more enjoyment. If you still have any question, please don't hesitate to inform us by leaving a comment. If this guide is very useful, please share it with your friends. Why not give a shot on it now?